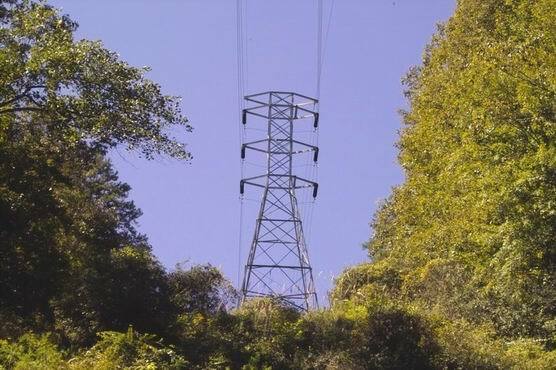 Volume I, No.2 of the Power Line Explorer Journal contains an excellent article by Steve Jones detailing his research on, and hunting of, the historic lines in North Carolina. 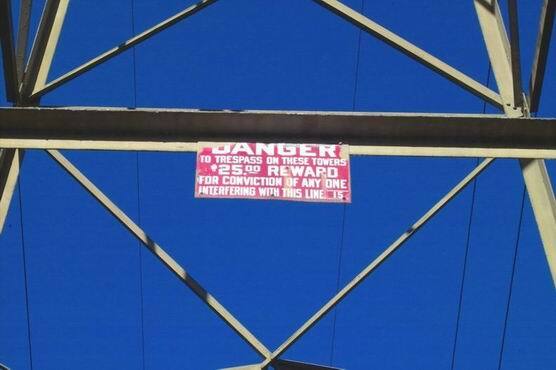 He was able to find one of the original M-3471’s used on a 50kV section of the line. The present article may be viewed as a continuation, in which we were specifically searching for the huge (14.5 in. diameter) 2-part Thomas suspension pieces, shown on page 29 of Steve’s original article. These insulators are historic for a number of reasons: They were part of a power system that grew, by 1914, into the first real power grid in the world. They were Thomas’ answer to the coveted Victor 273 2-part “Duncan” suspension. Very few are in captivity: Bill Rohde has one, and Ben Kirsten found a couple somewhere in the west (and he isn’t telling where). We are not aware of any recovered from the Southern Power system. We scheduled a trip to the Carolinas for the last week in September and first week in October 2003. We flew in to the Raleigh-Durham airport, rented a car, and started looking for the line to Greensboro, the easternmost substation of the original 1909 100kV tower line. The area was all built up, and line had modern towers – not original. We traced the line southwest and finally found the substation at Salisbury. There, out in the middle of a mowed area, we found the very first tower that was original – just like the EW pictures. The whole tower was bare except for the static line. We traced the original line southeast towards Albemarle. The towers were abandoned, with only the static line holding them together, very much as Steve had found on the 50kV line. Although much of the area is becoming populated, one section contours around a hill and we were able to fight our way through the brush to some tower sites. We found a few shards of the original insulators, enough to identify the huge outer skirt and the lily-shaped inner skirt, but no metal parts. We tried to get a glimpse of the power plants around Albemarle, but found nothing but keep-out signs. Following the line west through South Carolina was much of the same story---mostly rebuilt line, private property everywhere, mowed right-of-way, and only a few scraps of porcelain. After a few days of this, we decided that we were never going to find anything this way. So it was back to the books to find a better approach. 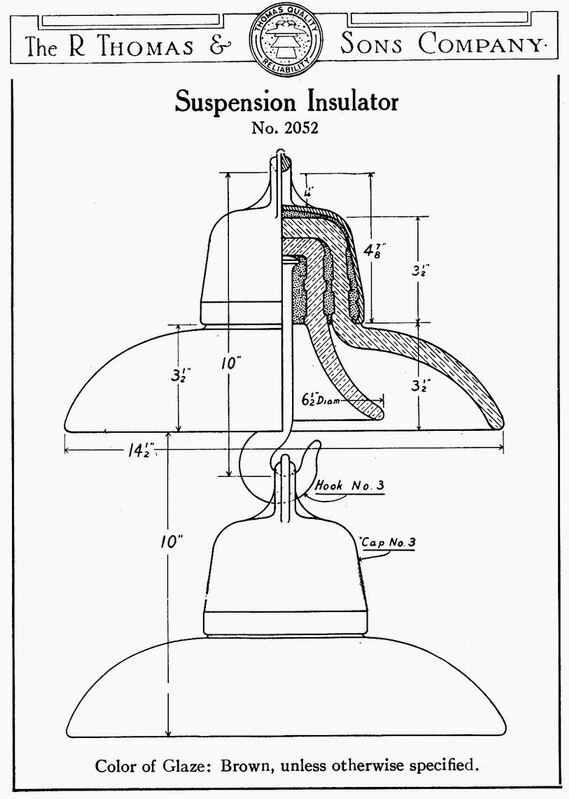 The 1917 book “American Hydroelectric Practice” by Taylor & Braymer includes, on p.202, the detailed mechanical drawing of the 2-part Thomas suspension shown above. The caption for this drawing reads “The insulator shown --- for 110,000 volts has been used on lines of the Southern Power Company and those of the Georgia Railway and Power Company.” If we couldn’t find any on the Southern Power system, maybe we could find something on the Georgia Railway & Power system. Development of hydroelectric power in northeastern Georgia began in 1905 but ran into financial and legal problems, compounded by the devastating depression of 1907. After a series of mergers, a plant was completed at Tallulah Falls and went on line in 1913. The plant had a head of 608 ft., at the time the highest in the eastern U.S. The plant generated 60,000kW, making it the third largest single plant in the U.S., behind Niagara and Keokuk. 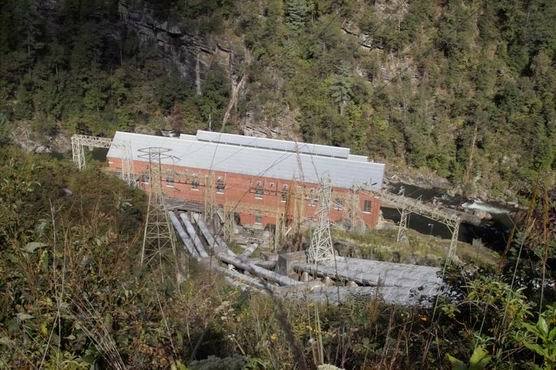 The plant was nestled into the hillside at the bottom of Tallulah gorge, the generators being located nearest the river, and the transformers in an adjoining building located farther from the river and higher up the hill. Viewed from above, the transformer building dominates the view of the plant, with just the roofline of the generator building being visible. The architecture is quite attractive, and the plant, along with others added in the 20’s, continues in operation as an important contributor to Georgia’s electrical power. An original tower is conspicuous just to the left of the penstocks. Two excellent Electrical World articles appeared in December of 1913 describing the system. The following quote is from the second of these. So we knew where to look. When we arrived we found four lines radiating from the plant: One north to the Terrora plant, one south to the Tugalo plant, one across the river to the east, and the main line to Atlanta, which had the original towers, still in service! The towers even had the original tower signs, complete with tower number---$25 went a lot further in those days than it does today!